This neighborhood bar in South Park is beloved for its craft-beer selection. Each month, they hosts several cask events, often featuring new beers. 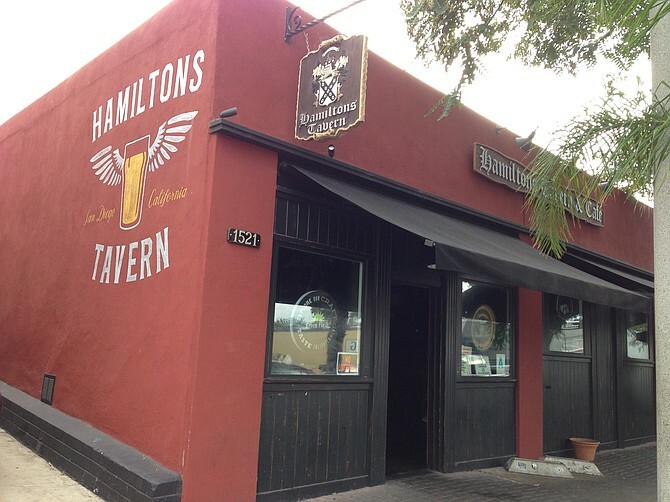 When Ballast Point or Stone reveal a specialized brew at Hamilton’s, it’s best to arrive early. South Park locals, craft-beer devotees, and mariachis (who always know what’s up) frequent the bar. The place gets full and everybody is friendly — probably because they’re drinking some of the best beer in the world. Sunday 5-8pm: $1 off local drafts. Monday 5-8pm: $1 off local drafts. Tuesday 5-8pm: $1 off local drafts. Wednesday 5-8pm: $1 off local drafts. Thursday 5-8pm: $1 off local drafts. Friday 5-8pm: $1 off local drafts. Saturday 5-8pm: $1 off local drafts.